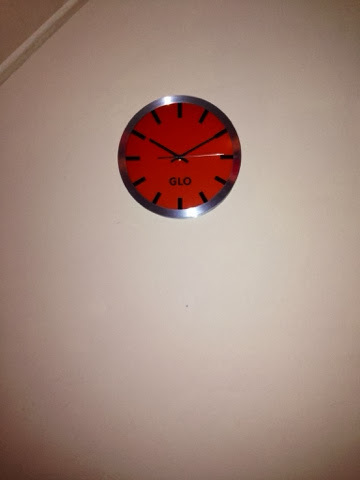 One thing that we don't have in our home is a clock! It may sound strange but in a world filled with technology, we never really needed one. We could always glance at the laptop, TV or our phones to check the time. 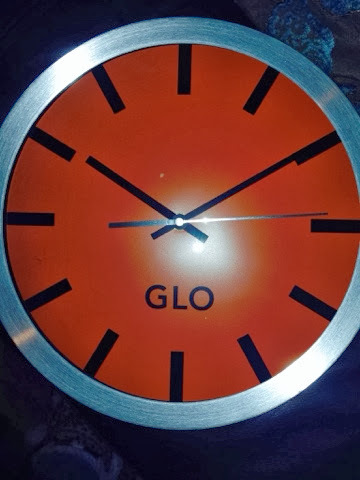 When Shoplet got in contact about reviewing one of their GLO Aluminium wall clocks, I was definitely up for it. I love having things hanging on the walls (mainly photos of my son - I take way too many!) and, like I said, a clock was something we didn't have. Upon opening, I was very pleased and couldn't wait to get it hung up on the wall. It measures 310mm in diameter so it's a great size. It doesn't come with a battery but it only takes 1 AA one and we always keep a stock pile of those in case one of C's toys needs it. It really makes a welcome change into our living room and injects a bit of colour into our bland beige rental property's walls. It is a lot lighter than I thought it would be so I had no worries about it being too heavy to hang. The black number markers and hands make it look very contemporary and against the orange background, the time is very easy to make out. I love the aluminium trim against the orange face. I received the orange but it also comes in green, yellow, pink and purple and retail at £10.74. You can find Shoplet at their website, Facebook & Twitter. 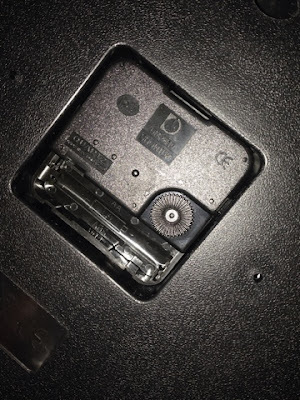 2 comments on "Shoplet GLO Aluminium Wall Clock - Review"